On occasion, folks e-mail us asking about the mechanics of making a cast album: the creative decisions involved, the various stages of production -- i.e., how a cast album gets made. We don't reveal a lot in our responses, as we tend to feel the best albums -- as with the best shows -- feel so organic that it's hard to tell (or occasionally for the creators to remember) who did what, and that if you start to pick apart the creative process, you're ultimately left with more questions than answers. But PS Classics co-founder Tommy Krasker recently did an interview for The Sondheim Review about the making of the Passion cast album, in which he agreed to answer many of the producorial questions he typically skirts. The Sondheim Review permitted us to reprint it here. We hope our readers will find it informative. Questions for Tommy Krasker of PS Classics by Russell M. Dembin of The Sondheim Review. 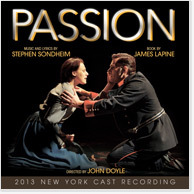 Russell M. Dembin: How did making the Passion album compare with other cast recordings you've done? Tommy Krasker: Well, it certainly took longer to get into the studio, didn't it? I think Philip [Chaffin, co-founder of PS Classics] and I saw the production in early March and absolutely adored it -- and committed to recording it -- but we didn't actually get into the studio until a month after the show had closed, in mid-May. That's unusual for us, but of course, Melissa Errico fell ill and had to go on vocal rest, and then it was so awful for her: even after we'd re-scheduled the recording, she had to go back on vocal rest, and we brought in Rebecca Luker. And by then, the cast and band had dispersed, and we were trying to coordinate a date that everyone could make, and fly several people in from the West Coast. So the oddest thing about doing the recording was actually trying to do the recording. But I will say, from the moment we got into the recording studio, the album was pure pleasure. 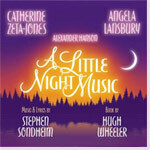 I would call it one of the most pleasurable experiences I've had making a cast album -- and making cast albums is not fun. 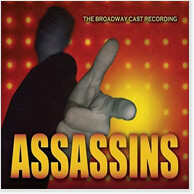 Anyone who thinks "Oh I want to produce cast albums, they look like such fun" should have their head examined. Cast album dates are grueling -- you're trying to lay down an entire show in one day, and dealing with nerves and insecurities and union regulations and mikes and headphones that aren't working -- and everyone in the cast warms up at a different rate -- and inevitably people require different numbers of takes to hit their stride, so you might be doing a duet and someone nails it on the first take and the other person takes until take 3 to really find their way, and you have to be thinking all along of what the eventual edit plot will be, and will you be able to create a convincing performance? You're having to look at the big picture and thousands of little pictures at the same time, and it's exhausting. But the Passion cast was so lovely, and so enthusiastic, and came through so brilliantly, even with the last-minute addition of Becca, and the band was tireless and wonderful. And then mercifully, as I segued into post-production, there were very few glitches. The recording edition I'd proposed worked -- and that doesn't always happen. Sometimes you record everything, and then when you get to work on editing and mixing and assembling, you go "Holy crap, that doesn't play nearly as well as I'd hoped." 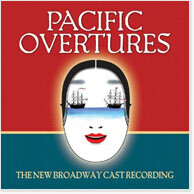 I remember that happened a couple times on Pacific Overtures, and John Weidman and I needed to revisit and revise the recording edition after the fact. 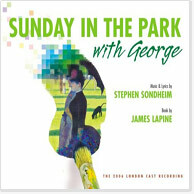 With Passion, the version I'd proposed to Steve [Sondheim] and James [Lapine] back in March is pretty much what you're hearing on the discs, and that was enormously gratifying. RD: Were there any particularly memorable or surprising moments during the session? TK: We started with "Happiness," in part because Clara and Giorgio need to sound freshest during that number. And whenever you start a session, there's a certain amount of fuss: making sure all the mikes are working, and the headphones are working, and the actors are hearing themselves and the band, and getting a working mix so that the orchestrator can hear what he needs to hear. So "Happiness" went about as I expected: I think we did a rehearsal, and then two full takes, and about three patches, and that's fairly typical. And then Judy Kuhn was called and we did "Fosca's Entrance" and "I Read." We did a quick mike check on her, and then she sang a few bars with orchestra to make sure she could hear properly, and then we immediately launched into a take -- and I was blown away. I mean, she was just so vibrant and "there." We did another full take, and a couple of patches, but I think most of what you hear on the album of that track is take 1. And that's unusual: people don't often launch into an album-worthy take the minute they open their mouths, five minutes after arriving at the studio! And I think the other surprising moment for me was the chemistry that Ryan [Silverman] and Becca found at the session. I mean, they had rehearsed in advance, but you still have no way of knowing exactly what's going to happen at the session. But they felt so comfortable with each other, and so free to try things, and to really listen to each other and respond -- you would have sworn they had been performing this for months. The trust factor between the two of them was incredible. We did, I think, three takes of the dialogue scene near the end of the show, where Clara and Giorgio realize they've reached an impasse, and each take seemed genuine and spontaneous and surprising and very, very moving. I was simply hoping they'd find the relationship in the studio; it never occurred to me -- stupid me -- that those two actors were so amazing that forget about finding the relationship, they'd master the relationship. They'd refine it and perfect it. That is my wordy way of saying, "damn, they were good." RD: Partly due to the size of the space at Classic Stage Company, the show was more intimate than in previous stagings. Did that factor influence how you approached the cast album? TK: Well, I can't say the intimacy, per se, affected the way I approached the album. But if that intimacy led to the production being so moving, and affecting, and above all convincing, then yes. I always approach albums from the inside out, asking "what are the particular strengths and qualities of this production that moved me so much, that I want to capture on disc?" I had never seen a Passion where Giorgio's journey was so satisfying. Not to knock the work, because I love the work, but like a lot of people, I was used to seeing productions where Clara and Fosca were polar opposites -- Clara the voluptuous blonde, and Fosca the harpy -- and I never found Giorgio's journey altogether convincing. Like a lot of people, I think, I found that the Classic Stage production made it terribly convincing -- Clara and Fosca were so shaded, with such surprising qualities that were there in the script waiting to be properly mined, that you understood fully why Giorgio gave himself over to Fosca's unconditional love at the end. I wanted to make sure that was made clear on disc. And I thought the hypnotic quality of Doyle's production was intense: it felt the whole thing swirled in a way that the show itself had the same hallucinatory effect on the audience that Fosca had on Giorgio. And I wanted to capture that. I saw the production and I wrote Steve immediately and I said, "you know, never in my wildest dreams would I have thought I'd come to you and say, let's do a two-disc set, but here I am" -- it seemed to be the best way to convey the qualities and strengths of this production. And I very quickly, and preliminarily, mapped out for Steve a two-disc plan that would include four long arcs: one from the top through "they hear drums," one from Giorgio's request to leave for Milan through "I Wish I Could Forget You," and that would be Disc One. And then Disc Two would be a long arc from the first Soldier Gossip all the way through "Loving You," and one from the third Soldier Gossip all the way to the end of the show. And although it took me weeks to refine that -- to figure out exactly how we'd trim the dialogue effectively -- and then get Steve and James's comments and fixes and input, that's pretty much the show we recorded. RD: You mentioned that Rebecca Luker preserved John Doyle's concept for the show; could you tell me a bit about how she was able to do that (or what that entailed)? TK: Well, I can't speak for John and exactly how he conceived the character of Clara, but certainly when I saw the show, I was impressed with how chilly Clara was at times: so loving and open at the start, but as the show progressed, you saw elements that were cooler, more calculating, more mercenary, more selfish, and ultimately, by the end, I sort of found her pretty damn passive-aggressive. But that's part of the brilliance of Doyle's production: it's all in the text, but they really honed in on it. So suddenly we have Rebecca coming in, a week before the recording, and I had to make sure the performance she gave fit into this particular production. That it didn't upend Ryan's performance in any way -- because his arc was critical to the success of the recording -- but equally important, that it didn't restrict Rebecca in any way. You certainly weren't going to say to her, "This is what Melissa did" -- you weren't going to give her line-readings. You had to go through the script, and really build and shape the character, and do so carefully in a way that works for Becca and that works for this production and for Giorgio's journey. Rebecca spoke with Doyle at length, and worked with Ryan the week before we recorded, but as noted, she found a heck of a lot actually in the recording studio, as we were doing it. I would like to say here and now, if I could have Rebecca Luker on every recording I made, I would be the happiest producer in the world. Becca is brilliant. So gifted and so kind. RD: Were there any changes to the music/lyrics/dialogue in the studio? TK: If you mean, like, Steve rewriting a lyric after 40 years, as he did at the Follies session, then no. There were times when we'd do a first take of something and we'd realize a moment wasn't clear without the visuals, and Steve and I would come up with a quick solution. And there are couple trims I made in some of the soldiers' scenes after hearing them once -- there seemed to be an awful lot of talk about food. But Steve and James and I had very carefully pruned and shaped the recording edition in the weeks leading up to the sessions, and were very clear about the internal dialogue cuts we were making, and that's pretty much what we recorded. Oh, with one key exception, and this is where you always have to stay flexible. I had what I thought was an effective dialogue cut in the long scene leading into "I Wish I Could Forget You," and then Steve had shifted the cut slightly, and improved it -- as he always does -- and I thought we were good to go. But in the studio, Judy said, "I'm having trouble justifying this cut" -- on paper, the cut looked fine, but it didn't work with what Judy was playing -- and you always need to make sure you don't undermine a performance. So Judy suggested a slightly different cut -- that added in a few lines she really needed -- and that's what we did. RD: You've produced a variety of Sondheim cast albums. Do you approach his material any differently than the work of other composers? TK: I don't think so. Steve is very easy to work with -- I mean, he's one of the easiest composers I've ever worked with -- so I will say that's very liberating. I know I can throw ideas at him, even if they're crazy, and he won't shoot me down. When I send him my proposed recording edition, when we start to talk about the album, it's incredibly detailed, pretty much going line by line through what I'd like to record -- but there's often one thing where I say, "And this is crazy, and we'll probably cut it, but I'd like to record such-and-such," and I explain why, and Steve typically says fine. And sometimes those things -- the scenes during "Another Hundred People" in Company, or Phyllis's "Bargains" speech in Follies, or the whole last 15 minutes of the show in Night Music -- end up working very well, and we keep them. And sometimes they stink and we don't. But I think Steve has shot me down only once: I'm pretty sure I suggested recording Phyllis's scene with the waiter in Follies -- I don't know, I guess I just wanted to hear Jan Maxwell say "you've been assaulted by a crazy lady," and when Steve got to reviewing my recording edition, he got to the waiter scene, and sort of went, "The waiter scene. Uh: no." And that was that, and of course, he was right. I will say that with Follies, and again with Merrily, and now again with Passion, I've started doing retakes -- meaning, we'll do the recording date, and I'll edit and mix and assemble over the next few weeks, and then if things aren't quite working properly, I'll ask key actors to come back into the studio for retakes. I didn't used to do that, and I don't know if that's Sondheim-related, but I do note that the only times I've done that are on Sondheim recordings. But the thing about Follies and Merrily and Passion is that all three were designed to be fluid, to really give you the sense of an experience, and so every moment had to fit together perfectly. And sometimes you can think you've nailed a piece in the recording studio, the day of the session, but then when you put the album together, you realize that moment's not working: it's not intense enough, or it's too intense, or it's simply not conveying what you need it to convey. You have to take such care with Steve's albums: there's so much emotion and meaning packed into every line -- if you're going to do it properly, you have to make sure you capture it all. RD: I know that Sondheim typically attends the recording sessions when you produce a cast album of one of his shows. How is he usually involved? Would you say that he contributes to sessions differently than other composers do? TK: The only time I've ever not had Steve at a session was when we recorded Sunday in the Park in London; he simply couldn't get there. But otherwise, Steve is always there, and always involved. You know, I wanted to be a stage director when I graduated from college: I directed, like, 30 shows in college, and then never directed one thing professionally after that -- it's sort of the directorial equivalent of the Wonderful Town lyric "And since then I haven't written a word." So part of the joy, for me, of making cast albums is getting to work with actors and shaping their performance for disc. And here's the irony: I typically do less of that on Steve's albums than on those of any other composer! And that's because Steve himself is so brilliant working with actors, he typically gives the lion's share of the notes, and I chime in with a couple after. Steve is very hands-on in giving actors notes in the studio, and I tend to be a little more passive. 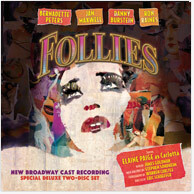 That started to shift on Follies -- I think mostly because I was so passionate about the piece, and had such a clear idea of exactly how I wanted to preserve it on disc, and what dramatic and musical points we had to hit, and how, to make the recording edition work properly -- that I was simply ballsier, and more vocal. And I think the most I've ever worked with actors on a Sondheim session was on Passion, and I think the reasons were two-fold: one, Steve was so extremely happy with the Classic Stage production, I don't think he had many notes to give the actors -- he just adored those performances; and two, because I'd worked with Becca so many, many times, I think Steve deferred to me a little bit in shaping her performance for disc. So I will say the Passion sessions were a lot of fun for me, because I got to shape the performances a little more than I typically do on Sondheim discs. 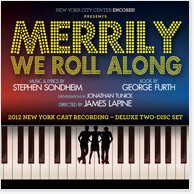 But honestly, working on a Sondheim cast album is as good as it gets. I know Steve trusts me to make the best possible album, and that means more than I can possibly describe. 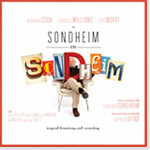 Visit The Sondheim Review at http://www.sondheimreview.com/.